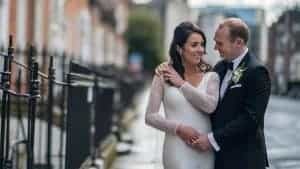 The chic, city centre location of St Stephen’s Green is home to the Shelbourne Hotel, an elegant period hotel with fabulous room choices for your wedding, and impressive wedding services. The generously sized, Great Room can accommodate 300 guests, with a further nine rooms to choose from depending on your guest list numbers. The 5 star hotel can host your civil ceremony, and guests will enjoy the convenience of the luxuriously appointed bedrooms and suites. The expert wedding team is on hand to ensure your planning is a pleasurable journey, and the in-house salon and floristry team will make the finishing touches dreamy to plan.